Affiliations: None - everyone they might be affiliated with is already a member of the 400. Base of Operations: Fantastic 400 H.Q. Comments: Created by Tim Quinn and Dicky Howett. 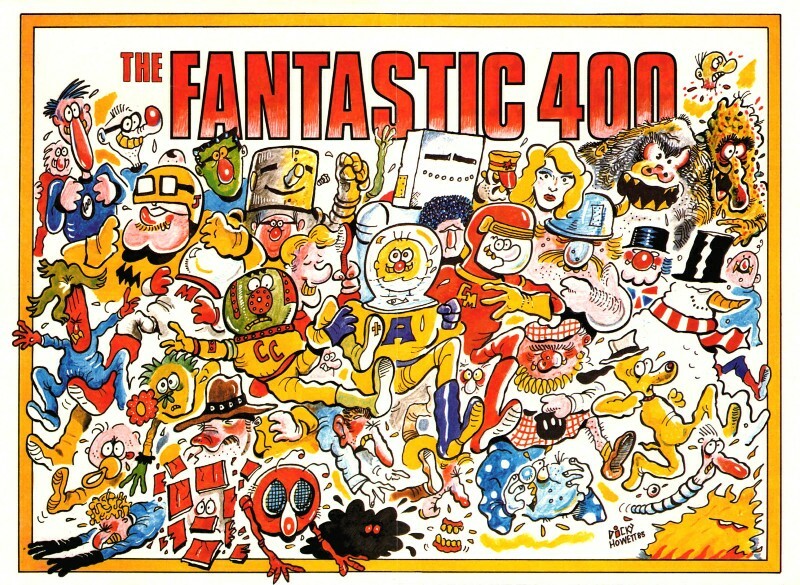 The Fantastic 400 were one of the many comedy strips that appeared in early 1980s Marvel UK titles. Named in parody of the Fantastic Four, the F400's basic concept was "what if every hero joined the same team all at the same time?" Given the team's huge size, only a relatively small percentage of the members were ever named, and even fewer properly introduced. The strip appeared across various Marvel UK titles, including Fantastic Four (in 1982) and Thor (in 1983), and was continued in Exploits of Spider-Man in the 1990s.